The beads on this bracelet are made of rolled up fabric scraps. Stephanie from The Crafty Kitty shares a tutorial at Henry Happened showing how to make them. 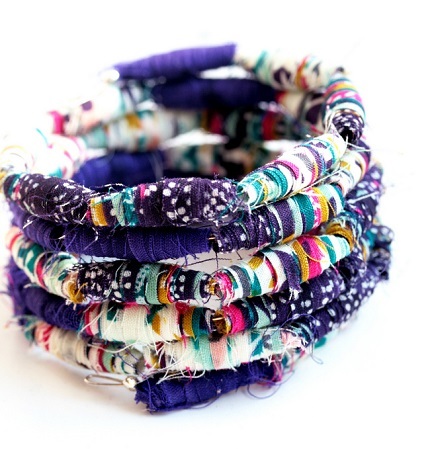 The raw edge fabric beads make a cool, boho style bracelet. It’s a fun project to make with kids, and it will help make a dent in an overflowing scrap bin. Go to Henry Happened for the how-to.